Are you planning to move long distance soon? No matter where your destination is, you will need to consider obtaining the best moving option that suits your needs and your budget. The most popular moving options today are moving company services or portable moving containers. Depending on which company you choose, these portable moving containers can be called by other names such as PODS, minis, mobile self-storage, etc. By thinking of these factors, you will be able to determine your needs and what the best solutions are. Below is a listing of companies offering portable moving solutions, or moving containers, and how they work. We have also outlined the standard services that moving companies offer and how much movers cost so you can make an effective comparison. After you have finished your review, you can obtain 5 free moving quotes from professional movers near you to have fair and accurate moving estimates for planning your moving budget. It used to be that moving with a rented truck took days to complete and required exhausting trips between two locations. Today, however, that should be a thing of the past, especially if you know the best options for moving house. Moving containers have become a very popular option for those who need to relocate because they are delivered right to one’s doorstep. You get to choose the size of the container you need, depending on the volume of your load. These moving containers really make moving from one place to another faster and more convenient. Basically, the moving container company deposits the moving container. You are given a specific time frame to finish loading your boxes and furniture, usually 2 weeks to a month, depending on the company. The moving containers are ground level, eliminating the difficulty of carrying furniture and heavy boxes across a ramp. You are provided a key to your moving container to secure it and only you have access to your goods. Moving container companies provide a list of items not allowed inside its containers. These include flammable or corrosive materials, live plants and animals, frozen or fresh food items, and hazardous goods. Each company also has an average transit time which depends on the destination. On the average, moving container companies allow for 3 days to a week to deliver the moving containers to their destination. You can request for several moving containers to accommodate your goods. Some companies allow for the free return of unused moving containers while others charge for pick-up of unused containers. How do these companies calculate the cost? Costs are calculated based on the number and size of the moving container and the distance of travel. They also have peak days so if you move during a peak period, you could pay more. What are the benefits of moving using moving containers? When you choose to use moving containers for your move, you get to do your packing and loading at your own pace. You can get as much as a month to finish preparing your boxes and loading them to your container. If you have that much time to complete your packing, using a moving container can give you the flexibility you need. Some homeowners are uncomfortable about letting strangers into their homes. With moving containers, you can work on your own and follow your own time table. You control access to your goods with your own key so your belongings are secure and safe. 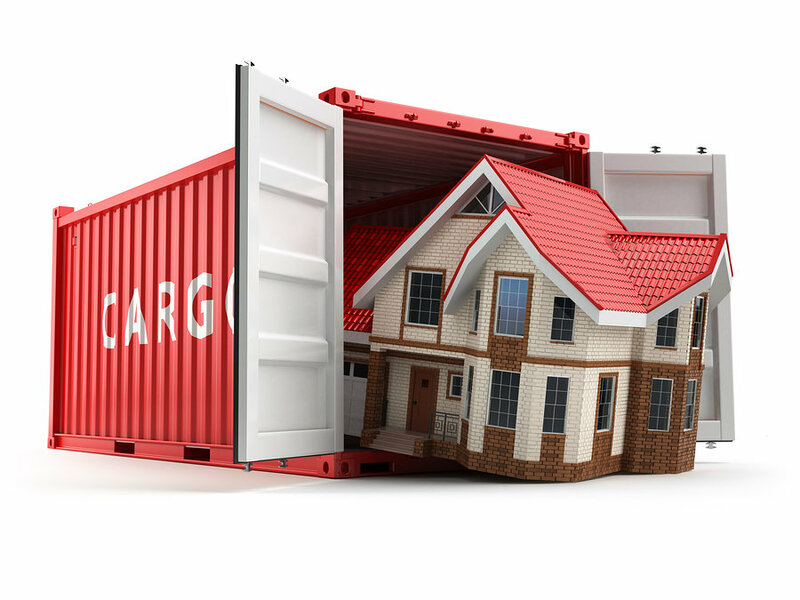 Moving containers offer a less expensive option for moving. You will only pay for the container rental and delivery and pick-up. You have a choice of different sizes of moving containers and unlike traditional moving companies, your cost will vary depending on how little or how much you need to move. Professional movers work a little differently from moving container companies. To determine which option is better for your move, you’ll need to further understand how traditional moving companies work. When you choose a professional mover for a long distance move, the company will send an experienced moving professional to do a physical inventory of your household goods. In this way, they can devise a moving plan to carry-out your move efficiently and at the best price. This in-home assessment is done free of charge and you are no obliged to continue with their service if your find their recommendation unsuitable for any reason. Not all individuals require a full service move. In that case, moving companies offer a variety of custom services such as packing services only, moving labor only, a moving truck with movers, or storage. Majority of professional moving companies will provide a flat fee quote for a long distance move. For custom services such as packing only, or moving labor for loading and unloading, moving companies charge fixed hourly rates which are based on number of men for the job. Moving containers are a revolutionary service provided by various companies to help people with a DIY approach to moving. What is their primary difference from renting a truck from U-Haul or Budget? Firstly, while U-Haul requires the customer to pick-up and drop off their rental truck, these moving containers are delivered directly to the customer’s address and picked-up after loading. Secondly, U-Haul, Budget, and other truck rental companies provide a shorter timeframe for moving, usually 8 hours. Moving containers, on the other hand, allow for greater flexibility in terms of time. Customers are given as long as 4 weeks to complete packing and loading before the container is picked-up for delivery. Majority of these moving container companies follow the same procedure which starts with the delivery of the container and pick-up on the designated date. Below are 8 of the top moving container companies in Canada and how they deliver their services. This moving container company offers an affordable option for moving and storing long distance. The company delivers your selected moving container to your location and allows you to pack the container yourself (you can also get professional movers for moving labor only). They pick-up the container and can store it securely or move the container to your new home. You can pack and load your container up to 28 days but Cubeit containers can be rented in increments of 4 weeks. Timeline for delivery to your new address depends on the distance of the 2 locations but generally could take up to 14 days. The company has offices and secure storage locations in various cities in Ontario, Quebec, Alberta, and British Columbia. Their storage services include 24-hour access, free use of move in van, climate-controlled and secure storage, and individual security codes. Their units also have drive-up and loading docks for more convenience. This moving container company offers moving solutions for individuals with a smaller budget and a do it yourself attitude. You can use their services for temporary storage, too. Canadian homeowners can use moving containers in different sizes for relocation. They also come with moving blankets, straps, and equipment you need. The moving containers come in 8 or 9 feet. It is also different from just getting a moving truck rental from U-Haul because you won’t need to do the long driving – experienced drivers will do that for you. You also get the space you need and save money. Their moving containers come in 3 different sizes (8 feet, 9 feet, and 12 feet) you can choose from. Containers are delivered to your residence. There must be adequate space for the trailer and generally, it will be parked in front of your home. It is the customer’s duty to secure a parking permit for the trailer which will be outside your home. Flexible move is partners with Mayflower and United Van Lines who offer the service to their customers. If you are worried about how to load a moving container, get expert tips from United Van Lines about using their flexible move service. This portable moving container company began in 1998 and offers moving and storage solutions at a more affordable price. Their service is designed around your schedule and allows you to pack and unpack at your convenience. You can keep the container for as long as you want. The company offers the same affordable price, whether you rent for 1 day or 30 days. There are no hidden charges. You control your belongings and your entire moving process. For a better understanding of how PODS works, check out the video below explaining how to obtain your PODS and the delivery and pick-up of a moving container. U-Haul also offers portable moving containers sized 7’6 x 5′ x 8′ which is ideal for holding some 2,000 pounds of household goods. It can accommodate a room and half full of items. For larger moves, such as 3-4 bedrooms, you can obtain 5 U-Boxes. How is U-Haul U-Boxes different from the others? Unlike competitors, U-Haul lets customers move their U-Box with the use of a custom designed trailer that is towed by the customer’s vehicle. If the customer is moving several U-boxes, the company has trucks that are capable of transporting several boxes at the same time. The company also offers moving labor for filling or emptying containers. It’s easy to see that some of the benefits of renting moving containers are not offered by U-Haul. You will need to do the driving yourself and if you are not used to driving a trailer towing a container, it could even be risky. These containers are also not ground-level so they could make loading and unloading a bit more difficult. This moving container company offers ReloCubes which have dimensions of 6’3 x 7′ x 8’4. It can be used for holding a room full of furniture and boxes. These containers are weatherproof and durable, made of steel framing and aluminum. The ReloCube sits on the ground for easy loading of furniture and boxes. They offer 3 methods of delivery which include a drop deck trailer, a flatbed trailer, or a lift gate van. With this service, you also get to pack, load and unload your household goods while the company takes care of the driving for you. You will be charged based on the space you use with no additional charges for taxes, fuel, or driving. Everything is included in their rates. You can reserve the number of containers you need and will pay only for what you actually use. They service all 50 states of the US and Canada. 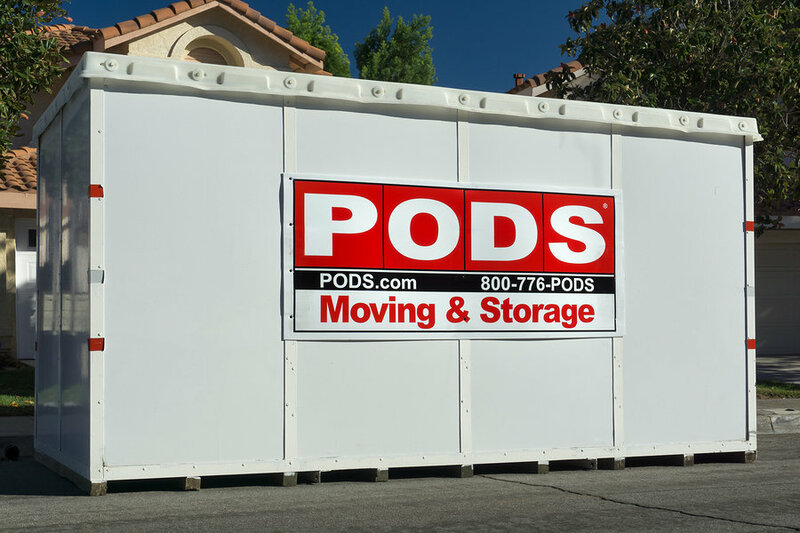 Unlike PODS, you get 3 days to load and 3 days to unload. Transit time for delivery is also faster, usually 2-5 business days. Want to know more about U-Pack? Watch the video below to see how they work. This company provides self-storage containers in 7′ x 5′ x 8′ which can hold a room and half full of goods and furniture. Its doors swing wide for convenient and easy access. Customers are given all the time they need to finish packing and loading of their smartbox. The company picks-up the container when ready. The price includes free storage of up to 30 days. This moving company offers an inexpensive way of moving long distance. Your container is also delivered to your doorstep and you are given as much time as you need to pack and finish loading. When ready, the container is taken to a secure storage facility of to your new location. It has various locations across Canada and eliminates the need for you to drive a rental truck to make a DIY move. These containers are wind, water, and rodent-safe you have peace of mind that your goods are safe. You also keep the key to your container so you alone have access while your belongings are in transport. A 20’ SteelBox can contain furniture from 2-3 bedroom homes and can get you significant savings. This rapidly growing moving container company began in 2002 and now has more than 200 locations in the US, Canada, and Mexico. It provides 3 different sizes of moving containers that you can choose from based on the size of your household. It is a locally owned franchise and offers weekly rather than monthly rates. Their containers come in 3 sizes – 12 feet, 16 feet, and 20 feet. A 20’ container can transport belongings from a 5-6 bedroom home. Because their containers are larger than those of other companies, your move will be more economical. If you are considering making a DIY move, you can check costs of moving containers even for a long distance move. 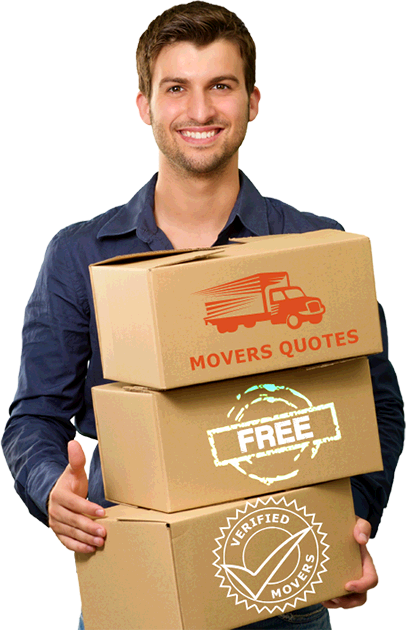 But to have a more informed choice, it is best to obtain moving quotes from 5 free movers’ quotes to compare actual moving rates from professionals. While a moving container may be less expensive, you’ll need to do most of the work, including the disassembly of your furniture, wrapping furniture to protect them from damage, packing of fragile items, and loading and unloading them onto the container. If you want an easier move and can pay just a few more dollars to eliminate the hard work, you can also look into the benefits of hiring professional movers vs. DIY moving. To weigh your options and arrive at the best decision, fill-out our online request form with your moving details to receive the lowest moving quotes from professional movers near you. We wish you the best moving experience and hope we can help you make your best moving decision.